An IDEA is what lurks behind this blog (or any piece of writing)—urging the words forward. I like the flame symbol better, the shape on a sign at our local utility company that makes it look like a happy little blue person with a pointed head who keeps our gas lines generously flowing. We’re mostly thinkers in reverse, acting and reacting in the moment as we have to. But by squinting to see the tracings underneath the finished drawings of our lives, we may encounter ideas that glow and can be useful to us again, because now we’re conscious—that wonderful word that signifies some progress has been made! There is no “National Idea Day,” but if there were, I’d find a flag with a glowing lightbulb or a flame emblazened on it and celebrate! Kandinsky wrote that the circle is “the most modest form, but asserts itself unconditionally.” It is “simultaneously stable and unstable,” “loud and soft,” “a single tension that carries countless tensions within it.” … a link to the spiritual plane. “Every woman has her own little circle, and in it can use her influence for good, if she will.” —From Louisa May Alcott’s novel Rose in Bloom. As Mark Twain said, “When you fish for love, bait with your heart, not your brain.” But we also need our brains—to sort out issues, and to contemplate. I have blogged in this series previously on: A Is for Attitude; B Is for Balance; C Is for Create; D Is for Dialogue; E Is for Eye; F Is for Flight and G Is for Good … ! So now it seems right to go straight to the Heart—for a short meditation on what has the potential to change our world for good. BUT of course, loving others is never that simple. When someone affronts us, often we can feel a tightening in the chest, the need to put on armor and shield our Heart against further hurt. Perhaps even to attack back. Even a “good” Heart has its seasons, its vulnerabilities, its gaps through which the arrows of hate can slide. Aristotle considered the Heart “the hottest bodily part”—unlike the “cold” brain. Most women seem to understand this. In fact, my Heart is most usually activated by the sight or story of someone else in trouble, burdened, or being abused and dumped on. Like a small animal recognizing its “kind,” my Heart responds in sympathy with a sort of electric zing—an immediacy that the brain can only envy and struggle to find reasons to support. Jesus said that “where your treasure is, there your Heart will be also.” And it’s fairly easy to ask ourselves what is central and most valuable to us—tracking it, to find our Heart also lurking there. Such discovery might even give us a shock, and lead us to get our brain engaged—to try to shift the center of power to a more beneficial spot. But here the ability to give advice about the Heart breaks down, since, besides being warm and pliable—the Heart is also the most personal center of who we are and what matters to us. It defines for us whom we love and what we most want out of life. No one else (not even a lover) knows your Heart as you do. What images of Heart speak to you and challenge you to find and claim your own treasure? 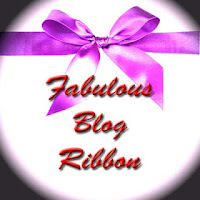 for sharing the Fabulous Blog Ribbon award with me! 2. Name five fabulous moments in my life. 3. Name five things that I love. 4. Name five things that I hate. 5. Pass the award on to five deserving bloggers. My husband saying his wedding vows to me. Moving in to our renovated vintage cottage six years ago. Getting my first book contract. Getting my most recent book contract! My day job as a Managing Editor, which still challenges me and keeps me growing. Getting to write books on the side. And having time to read! Our community of friends at St. Mary’s. Fleas! When a beloved pet is gone and the fleas are looking for a home and jump on us! Thunder when I’m working on the computer and have to turn it off. Black ice (invisible) on the road, a twisty mountain two-laner necessary to get us down the mountain. When I lose email messages and don’t realize it and someone is trying to reach me (which has happened too often lately). When my husband forgets his cell phone and I can’t reach him on the road!